Cap Extend click carries a SEMTECH SX8633 low power, capacitive button touch controller. It has 12 pins for connecting capacitive inputs (either touch-buttons or proximity sensors). Any sort of conductive object can be used as an input. 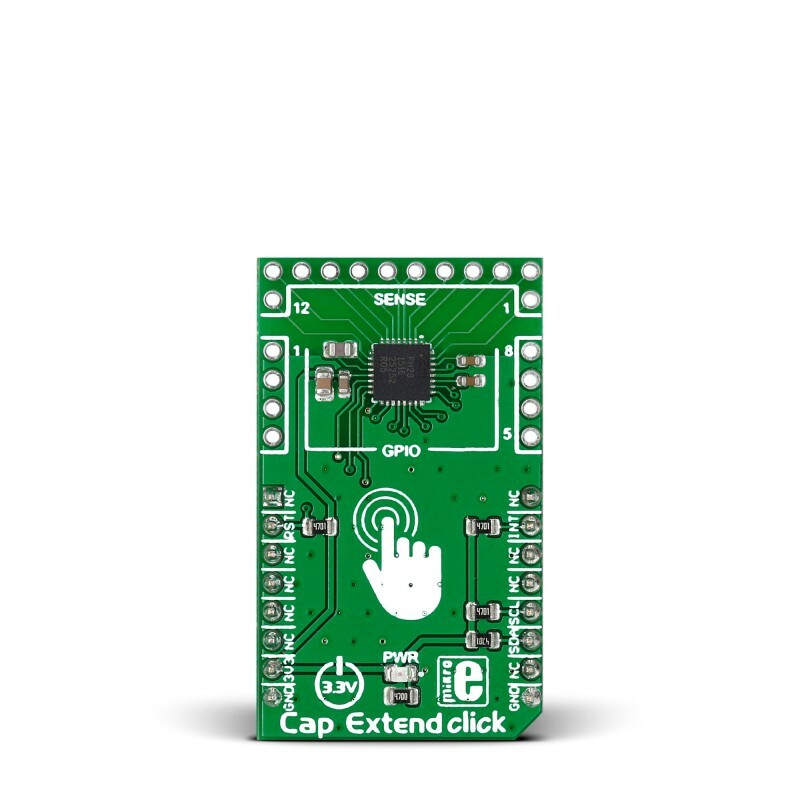 Cap Extend click is a mikroBUS add-on board with a SEMTECH SX8633 low power, capacitive button touch controller. It has 12 pins for connecting capacitive inputs (either touch-buttons or proximity sensors). Any sort of conductive object can be used as an input. Additional 8 GPIO pins, available on the side-edges of the board, can be used as LED drivers. 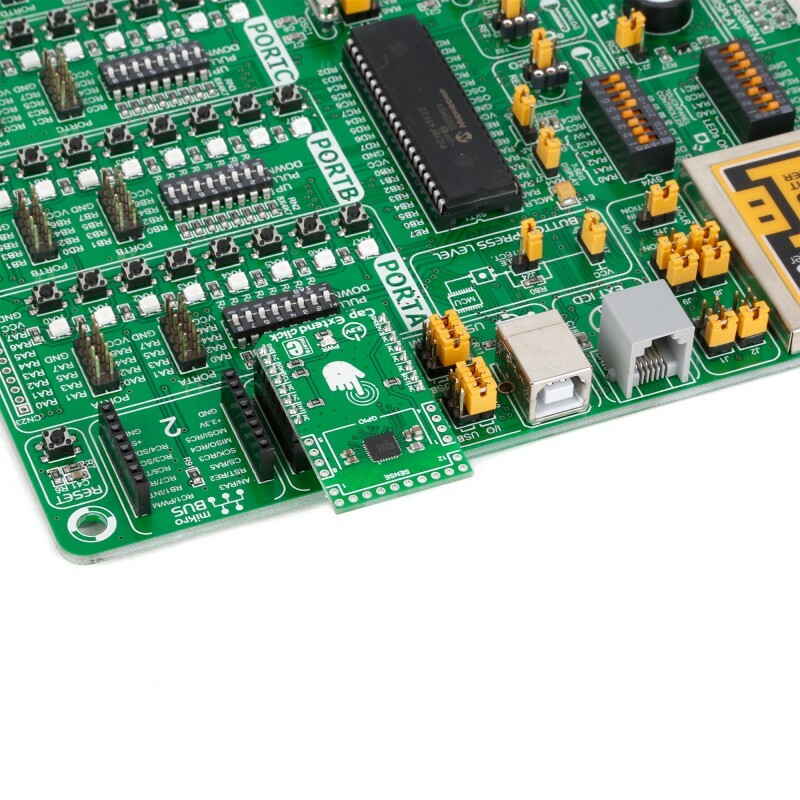 The SX8633 IC integrates a 10 bit ADC – a resolution high enough to support a wide variety of touch pad sizes and shapes to be used with the click. 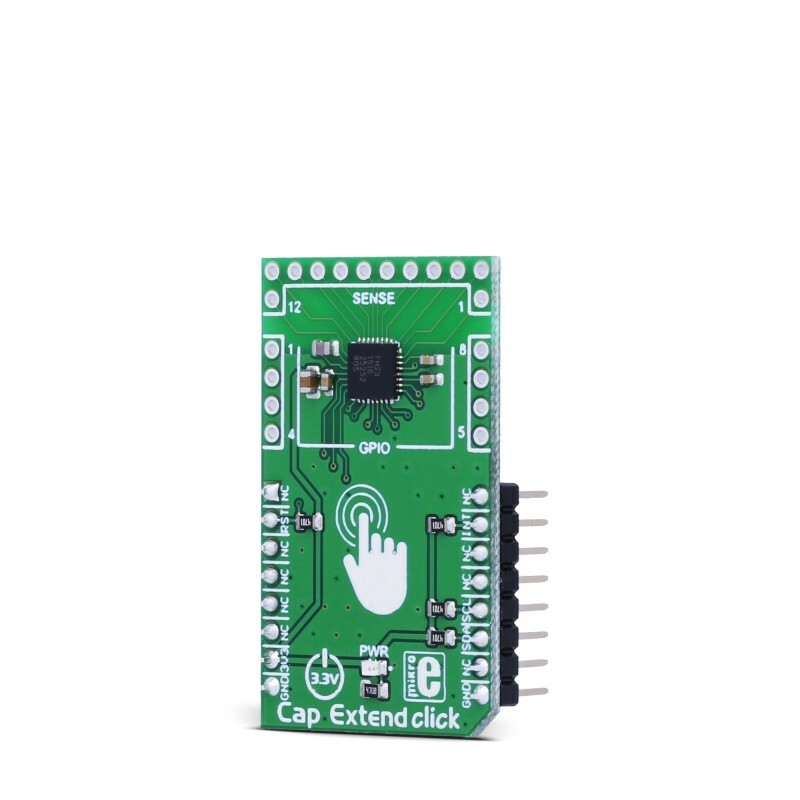 Cap Extend click communicates with the target MCU through the mikroBUS™ I2C interface, with additional functionality provided by RST and INT pins. 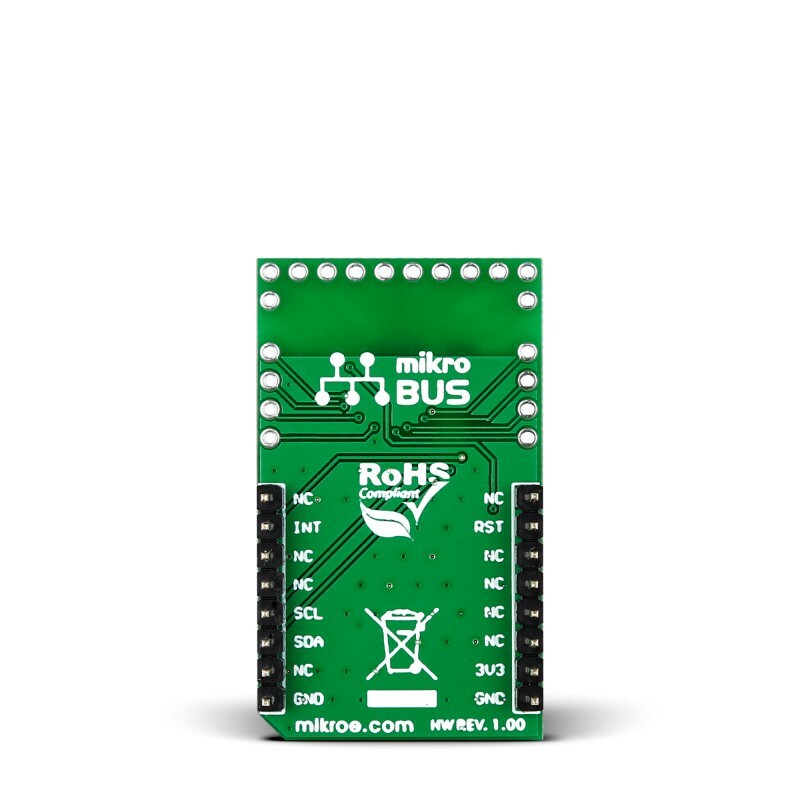 Designed to use a 3.3V power supply only. The SX8633 IC has a 10 bit ADC and up to 100pF offset capacitance compensation at full sensitivity. This high resolution enable it to support a wide variety of touch pad sizes and shapes to be used with the click. An overlay material up to 5mm thick can also be used, simplifying integration. The 8 GPIO pins on Cap Extend click can be used as LED drivers. An interesting application that combines capacitive sensing with LED drivers is to have LEDs that slowly fade in as a user’s finger approaches. The LED fading effect can be initiated using the SX8633 autolight mode. This example shows how you can setup Cap Extend click very quickly and easily, and show which surface you are touching through the GPIOs as LEDs.